Twinning of the North Saskatchewan River Bridge on Highway 15 and into Fort Saskatchewan. Built in 1957, the Highway 15 bridge over the North Saskatchewan River into Fort Saskatchewan is a vital river crossing that connects Fort Saskatchewan and Strathcona County with Sturgeon County and Edmonton. This section of Highway 15 is an important service and trade corridor through the Industrial Heartland, and a commuter route for thousands of Albertans. It is the only river crossing into Fort Saskatchewan, with one lane of traffic in both directions. 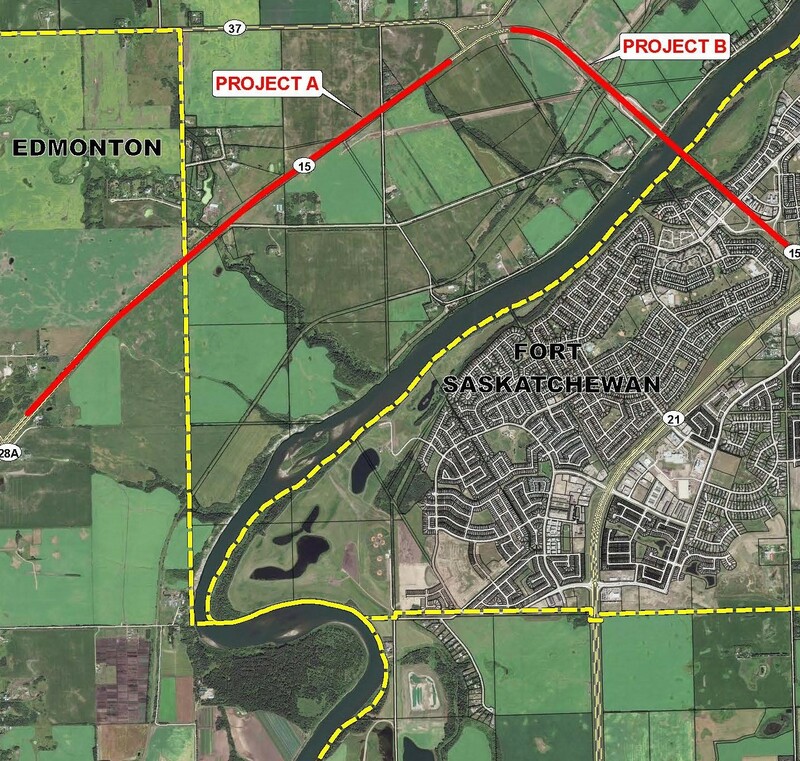 The twinning of the Highway 15 bridge over the North Saskatchewan River and the completion of twinning on Highway 15 into Fort Saskatchewan is therefore a major priority. The construction tender has been awarded to Wells Construction, Division of Lafarge Canada Inc. Construction is expected to get underway in summer 2019 and be open to traffic by fall 2019. The construction tender has been advertised. Construction is expected to begin in summer 2019 and take about 3 years (as is typical for a project of this size). Design work for this multi-year project began in 2017. Tree-clearing work should be complete by spring 2019. This project supports 2 multi-billion dollar petrochemical facilities planned for development in Sturgeon and Strathcona Counties.